Step inside Proud Mary’s bright and voluminous space on Alberta Street and you’ve entered a vortex of activity. The music is loud, the tables are full and, behind a bar piled high with sky blue cups, the baristas are brewing at full throttle. Meanwhile, in the open kitchen at the back of the house, breakfast, or “brekkie” as it’s called in Australia, is underway. The original Proud Mary is located in Melbourne, where specialty coffee, restaurant-level food, and table service are de rigueur. CEO Nolan Hirte fell in love with Portland’s vibe while on a West Coast road trip several years ago, and he thought it would be receptive to the Australian way of doing things. The locally sourced menu includes an array of vegetarian choices, but it also includes meaty dishes. “We like to have a few healthy options, but we like to be naughty too,” Nolan explained. There’s nothing naughty, however, about the way Nolan sources his coffee. While in his twenties, he observed the working conditions at a coffee farm in Bali. “I got to see firsthand how much work was involved and what their lifestyle and living arrangements were like,” he said. Angered by what he’d observed, the experience left him determined to change the way people think about coffee. Fostering long-term relationships with its growers, Nolan’s company recently helped a Honduran farmer learn new processing techniques that make the coffee taste more interesting. 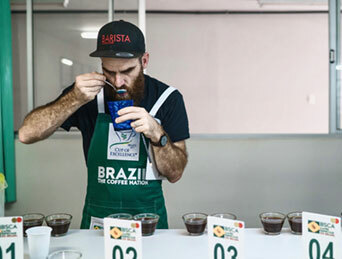 While some customers have balked at paying up to $6 for an espresso, Nolan welcomes the opportunity to make them aware of the human price tag behind what they are drinking. Judith is a freelance writer, who relocated from Massachusetts to Portland in 2016. Join us for neighborhood discussion, event updates, meeting minutes and more on our Facebook Group.